Sport has always been a massive part of my life and as I reflect, I can see how this has changed and evolved in many ways. As a child, I remember being at a different sport every day, tennis, basketball, swimming, horse riding, Irish dancing. I remember running around the park we lived in playing hide and seek and dancing to music videos in front of the television. I just loved being active and all the fun that went hand in hand with activities. 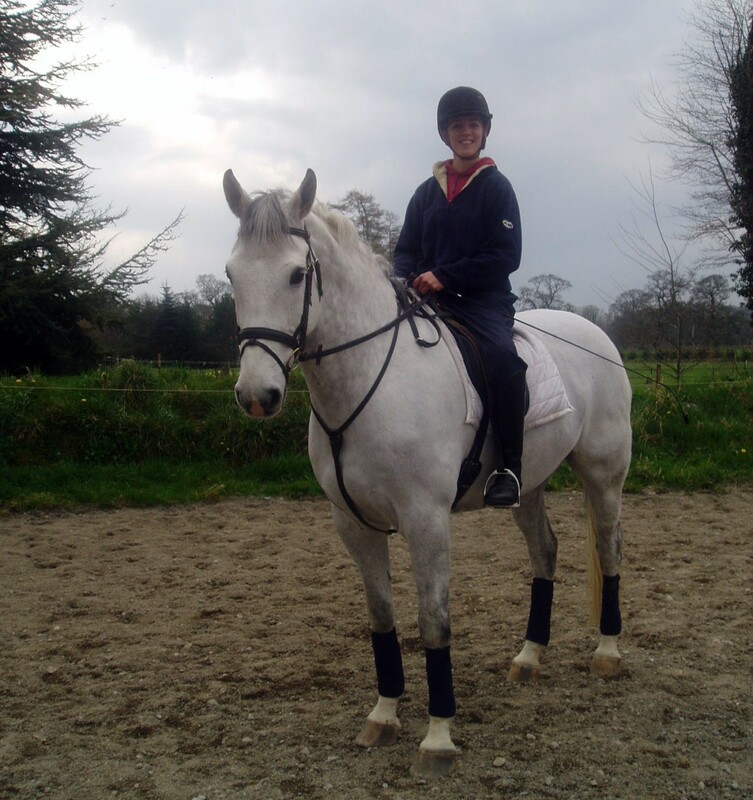 I took swimming and horse riding very serious and regularly competed at different levels. I was swimming before going to school a number of days a week. At the same time, I was having an amazing time building a great circle of friend’s horse riding at a riding school. At twelve years of age I got my first pony Bambi. As these two demanding sports needed more and more from me the time came when I had to choose. After winning the sports star award for swimming in my village I hung up my goggles and focused full time on horses, more specifically eventing. I gave it everything. The passion and dedication I had for the sport gave me opportunities to travel, train with the elite and become attuned to such fabulous creatures. At seventeen years of age a fall during an event resulted in a complete spinal cord injury at T7 changing my life and sporting opportunities forever. During my rehabilitation, I was introduced to various sports but soon came to realise that many sports were only possible in Dublin. I returned home and back to school as a wheelchair user but my desire for sport had not changed. My mum organised for me to horse ride each Monday with the local riding for the disabled and at the weekend I would return to the yard I had worked in prior to my accident. Returning to horse riding was key to my adjustment to this new reality. I broke my leg while bringing my horse in from the field so horse riding was no longer an option for some time. I turned to wheelchair sports, more specifically tennis and basketball. I enjoyed the freedom of these sports putting my chair in the car and independently participating as opposed to the support from others I needed with horse riding. Through wheelchair sports I got to travel and meet so many friends. I also met my husband through wheelchair tennis. I observed how other people did things like get their chair in and out of the car and enjoyed learning new skills from my fellow athletes. I worked as a sports development officer for the Irish wheelchair association in the Munster region and was delighted to be able to set up clubs and sporting opportunities that were not available to me when I returned home after my accident. My biggest legacy from this job was setting up the Rebel wheelers junior sports club with a fantastic group of parents. I moved to Northern Ireland in 2009 and began to play basketball with the knights wheelchair basketball team and spokes in motion tennis club. As my work as a researcher got more demanding I felt I could no longer commit to these sports. I stepped back from wheelchair sports but needing a physical outlet I could do in my own time I went back to swimming. I would swim about three times a week. This was so important for me to manage the stress in my life and keep my body healthy especially as I spend long hours at a computer. I was so lucky to become pregnant last year and once again physical activity played a huge role during this time. I swam as often as I could right up until I was eight months pregnant. I stopped because climbing in and out of the pool got too challenging. I also went to pregnancy yoga weekly right up until my baby Harrison was born. This was fantastic to move and stretch as it got harder to move about. For my birth I had planned to use the birthing pool and the hospital had trained the midwifes to operate the hoist to get me in and out. However this was not to be as our beautiful baby boy came to quickly for me to get into the pool. Now that I have become a Mum I am keen for my son to see my love for physical activity. We attend lots of different groups and sensory activities but my favourite thing we do together is go swimming. It is definitely interesting as a paraplegic taking a four month old baby swimming but we get lots of support from the swimming instructor. I hope to begin swimming myself again soon but I feel that running after Harrison is plenty of exercise for the moment! Various sports have played a massive role in my life and I hope that this continues in the future. Physical activity has helped me to be healthy, strong, independent, travel and make long lasting relationships.